Size and costs: With the planned 200.5 meter-tall arch dam, an underground powerhouse, and a 528 hectare water reservoir the Khudoni HPP would become the second largest hydropower plant in Georgia. The costs are estimated at EUR 1.06 billion (GEL 2.75 billion). Feasibility: The project requires the resettlement of 2000 people, will negatively affect cultural heritage and will not bring significant tax revenues for Georgia. The positive conclusions of a feasibility study on Khudoni’s technical and financial viability are being questions by observers as well as local communities. Promoter & financiers: The project company’s beneficial owners are unknown, as are the financiers of the project. (The World Bank provided technical assistance for the feasibility study.) The Georgian state provided 24 percent of the project costs without receiving a share in the project company or similar compensation. The 702 MW Khudoni hydropower plant (HPP) is proposed to be built on the Enguri River in the picturesque mountain region of upper Svaneti in Georgia. 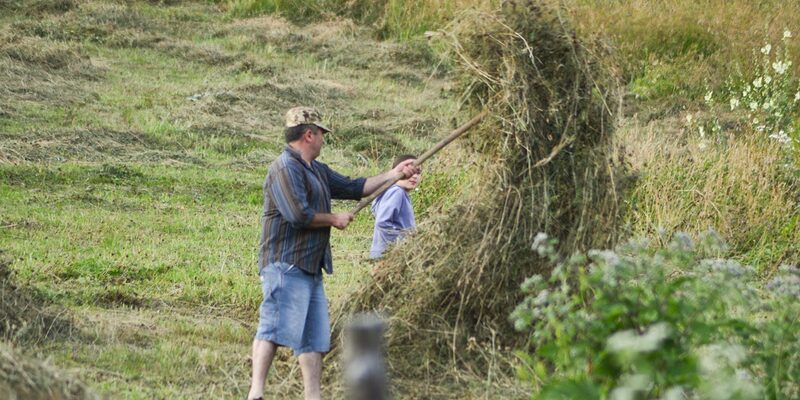 The area is inhabited by the Svans, an ethnic group which has retained its language and traditions over centuries. The Khudoni HPP will resettle around 2000 people and flood some of the villages threatening to corrode traditional lifestyles of the Svans and destroy pristine nature. The Khudoni HPP will displace around 2000 people (of the 12 000 who live in Upper Svaneti). A village to be fully resettled is Kaishi with its 800 inhabitants. One fifth of Khaishi’s households is recorded as socially vulnerable and is living on allowances, the majority relying on agriculture for their subsistence. They fear that their situation will only deteriorate with the resettlement. Supported by numerous other Svan communities, the people from Kaishi are fiercely opposing the Khudoni hydropower plant and have organised numerous public protests, rallies and blockades. In 2013, 200 families of Khaishi even took a traditional oath in church, vowing they would protect Kaishi from flooding or, should they fail, face a curse that will haunt them and their families for generations. A worshiper during mass in Chuberi, a town upstream from Khaishi. Svans are known for being proud of and closely attached to their region. People from Kaishi are being supported by other Svans and increasingly by public opinion in Georgia, despite intensive PR campaigns by the project promoters. The project promoters’ unwillingness to respond to locals’ concerns has further deepened the mistrust and disagreement. The project company Trans Electrica has failed to communicate the project’s effects and has not disclosed clear plans for compensation or resettlement. Georgian authorities, instead of working with locals, responded to protests with increased police presence and intimidation. 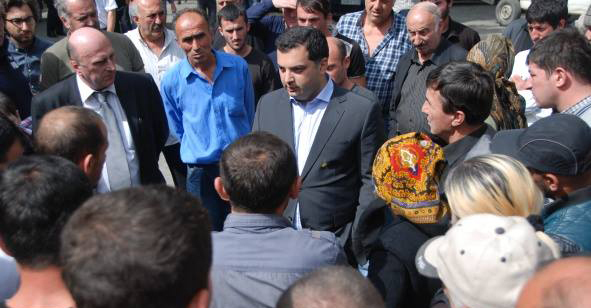 Georgia’s deputy minister of energy even told locals before a public hearing in September 2013 that regardless of their protests, the Khudoni dam will be built anyway. Georgia's deputy minister of energy tells locals at a consultation meeting that the Khudoni dam will be built regardless of their protests. More than 1500 ha land, part of which was traditionally owned by the local population yet not officially registered, were sold by the Georgian state to Trans Electrica for one dollar. Locals had not been informed about the deal. Most of the benefits that the Khudoni HPP is supposed to provide for Georgia and local municipalities are highly doubtful. The contract signed by the concessionaire and the Georgian government will award 91 percent of the Khudoni generated electricity for exports. Georgia is only guaranteed to buy annually 133.9 mln kw/h (or only four days of power consumption in Georgia) at a fixed price of 5.84 US cents during the first ten years. While electricity exports will improve Georgia’s trade balance, they will not generate fiscal benefits for the country as export is factually exempt from taxation with a tax rate of zero percent. Apart from income tax on salaries, Trans Electrica Ltd. will only pay a property tax of 1 percent. It will not pay for the water usage. The experience with other Georgian hydropower projects such as Larsi, Paravani and Dariali (pdf) have shown that employment opportunities tend to be exaggerated and mostly limited to the construction phase. The operation of Khudoni will require skilled work force which is likely to come from far away. The project company, Trans Electrica Limited, incorporated in the British Virgin Islands, is represented by Indian nationals who have been so far silent about the beneficial owners of the company and the sources of financing. The terms of the agreement for the construction of Khudoni HPP on a build, own and operate basis has been changed several times by the Georgian government and Trans Electrica Ltd. The project is heavily delayed but it is unclear whether the company has paid any penalties for delayed works. Registered in the British virgin islands, the company’s beneficial owners and the sources of financing are so far unknown. In 2013, the Georgian government requested the Netherlands Commission for Environmental Assessment to review the draft Khudoni HPP Environmental and Social Impact Assessment. The Enguri river already hosts the world’s sixth highest arch dam, the 1300 MW Enguri HPP, and the 240 MW Vardnili hydropower cascade. In addition to Khudoni, nine other hydropower plants (including three large dams with reservoirs) are being planned. When combined, the plants will have significant impacts on water resources and the environment. However, the Ministry of Energy has not assessed the cumulative impacts of these installations. Upper Svaneti is a candidate site to be listed by the UNESCO World Heritage for its natural importance and well-preserved medieval architecture. While the dam is outside of the UNESCO site boundaries, the construction of a hydropower plant will interfere with the cultural sites (according to the official scoping document (pdf)). 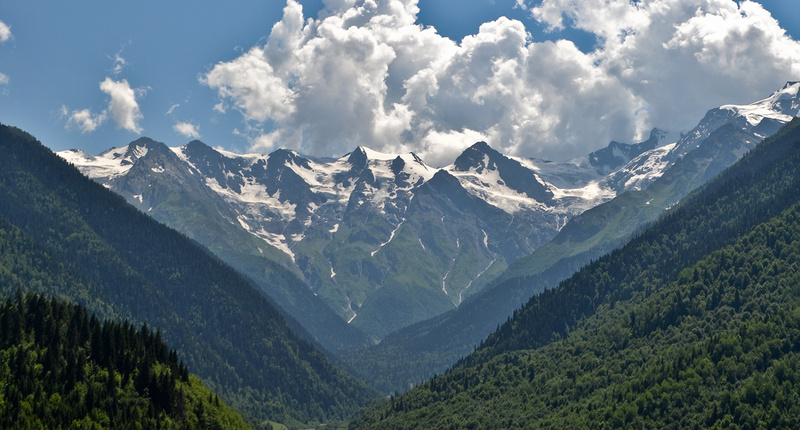 Twenty-seven villages will be impacted directly and indirectly by the project, including Khaishi which is regarded as a political and cultural gateway to Svaneti. 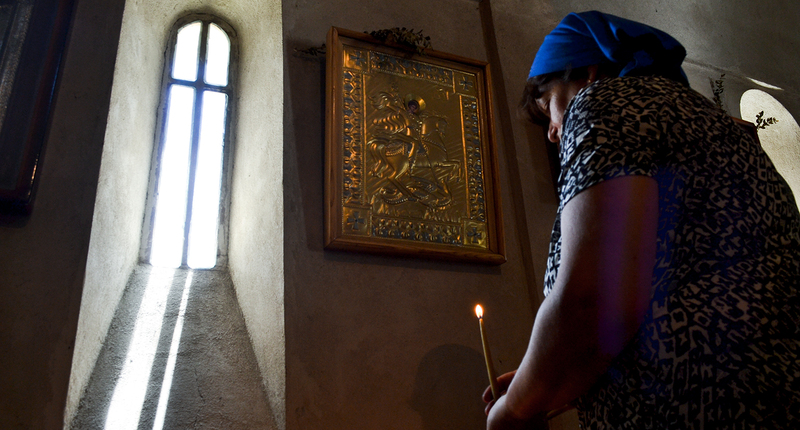 Khaishi’s church of St. George, Lakhani’s church of St. Nicholas, a cemetery and archaeological sites will be flooded. Severe landslides, rock falls and erosion were observed upstream of the Khudoni site. Combined with the high sediment load on the Enguri River, the high geological risks could decisively shorten the lifetime of the Khudoni reservoir. Svaneti is a seismically active zone and a possible dam failure could result in flooding of vast areas in the western part of the country. 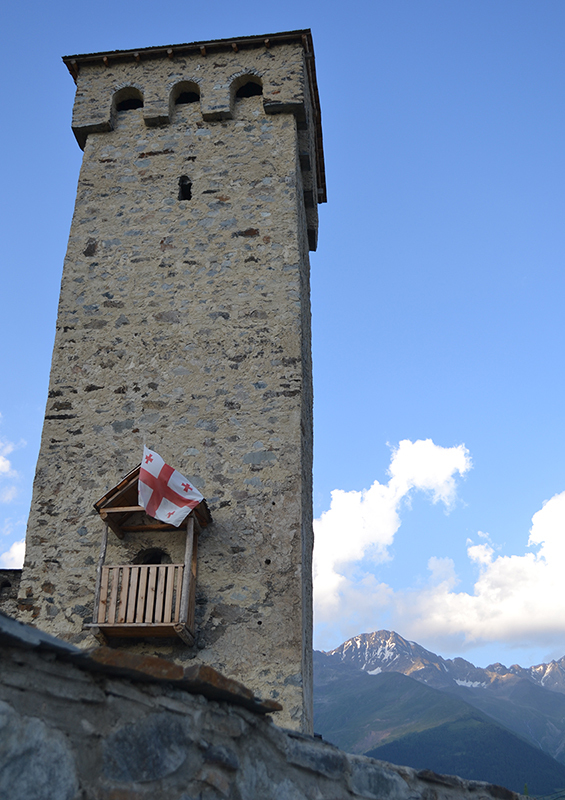 The Svaneti region is famous for it’s medieval stone towers. 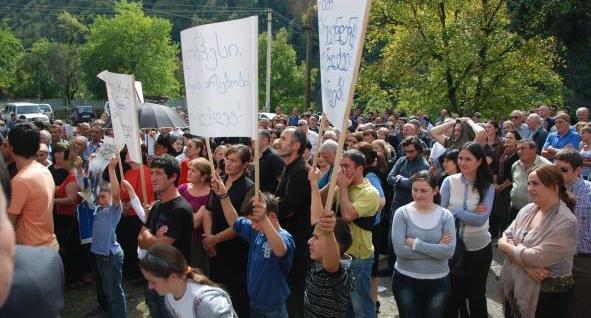 Protests have in recent weeks broken out across rural Georgia after construction resumed on several large hydropower projects financed by the European Bank for Reconstruction and Development (EBRD). Demonstrators have complained that the projects were repeatedly decided behind closed doors, and that poor assessments of the social and environmental consequences mean their livelihoods are under threat. In this declaration, the community of Khaishi, a village in the mountains in north west Georgia, called for a the cancellation of the contract for the construction of the 700MW Khudoni dam. Khaishi residents demand the recognition of customary land rights and the inclusion of Svans into the decision-making over the project. No matter how you look at it, the so-called sustainable energy approach being taken – and loudly trumpeted – by the European Bank for Reconstruction and Development (EBRD) is simply at odds with both climate science and the recently adopted Sustainable Development Goals (SDGs).